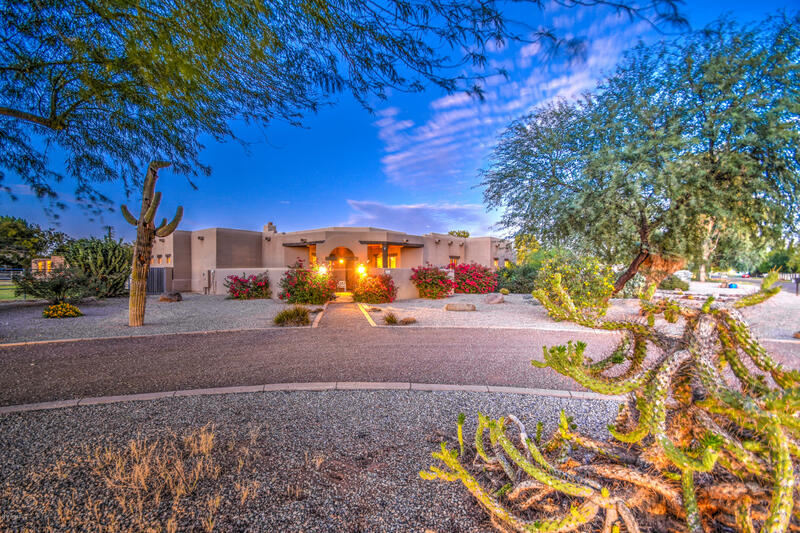 All RANCHITOS VERDE homes currently listed for sale in Gilbert as of 04/22/2019 are shown below. You can change the search criteria at any time by pressing the 'Change Search' button below. "Gilbert Horse Property. This thermal block home is energy efficient & waiting for you to bring your horses, toys & more! 10 stall brick horse barn,with auto waterers, fans, electricity, lighting, cooled tack room, wash rack area- 1.74 acres of raised arenas, turn out areas,& 3 irrigated pastures, Main house 3915 sf 4 bd/2.5 bth hickory cabinets-, new stovetop- bonus room-guest house is 900 sf 2 bd 1 bth plumbed kitchen ready. 4+ car garage with lots of storage, propane heated Pool & spa- genero"